Kelsey Chow, Jeremy Renner, Julia Jones et al. DVD: 103 min., Blu-ray: 108 min. Elizabeth Olsen stars as a rookie FBI agent tasked with solving the brutal murder of a young woman in a Native American reserve. Enlisting the help of a local hunter (Jeremy Renner) to help her navigate the freezing wilderness, the two set about trying to find a vicious killer hidden in plain sight. The closer they get to the truth the greater the danger becomes with a town full of explosive secrets ready to fight back. (6) of (10) members found this review helpful. Elizabeth Olsen feels like the token woman in this thriller set in on native American reservation. It touches on the social problems of the inhabitants, but mainly it's about a lot of macho men with lots of guns. Watch 'Frozen River' for a much better thriller in a similar vein. Not a bad film really however totally spoilt by the appalling sound track. When will film makers take notice of their customers who ask again and again for a sound track where the speech is audible and not masked by a heavy , loud and annoying music track with sound pulsing .... apparently for atmosphere . Plus this particular film also had mumbling to such an extent that I needed the subtitles , used for the very first time, to allow me to understand what the heck was being said with almost every word. Like other reviewers, I found the sound track difficult to comprehend from both the logical point of view and practically. Why-oh-why editors bury the dialogue amidst a cacophony of sound FX I've no idea. As an editor myself, I find a comfortable level of background-whatever is best left at -17dB's down under dialogue, not at the same level or higher than the dialogue. The practise of leaving sound FX and music at an a high volume level is custom and practise in the film industry, so, like other reviewers, I say 'thank goodness we have subtitles'. Beyond that, I thought the cast and quality of acting and directing in this film were superb. For those of you who point out that this film was similar to other films, please be advised that there are only about 30-plots possible when concocting a story line. They say, if you have twelve people in a room, there is a very good chance of having two people with the same birthday. Story plots are similar, where many plots are copycats of fairy stories, 'save the maiden', Cinderella, etc., so don't be too hard on them. 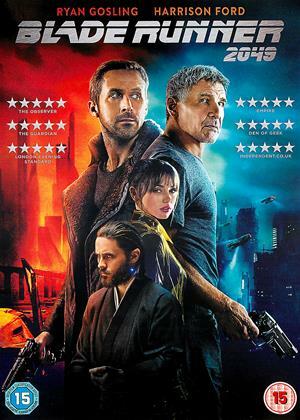 very enjoyable,I like Renner,good actor.Would of been 5 stars but the muffled dialogue at the start,It happens so often in films and TV its really annoying,i actually restarted the film after 5 min and watched it with subtitles,which i dont mind.it was a shame as some of the dialogue while not vital,helped flesh out the characters. The scene where a dozen grown men stand in a circle and end up shooting each other spoilt an otherwise carefully crafted film. I guess that is what the young American audiences want, no surprise then that so many awful shootings occur in America ? Really not sure about this one. Amazing photography, but of a slow burner and a little boring. Also perhaps ad I'm getting older and losing my hearing or something, or I kept needing to go back and turn the volume up to try and make out what was being said. Acting was good though. Unlike other reviewers I enjoyed this movie. The presence of a female FBI agent under dressed for the cold was not out of place. I found the drama very moving, and uniformly well acted. The plight of the native Americans, particularly the women - whose disappearances are apparently not recorded - is well portrayed. I was left with a profound message, from an exciting and entertaining film. Hard to watch. Much muttering and low volume levels on vocals. Sound effects and music loud. Badly mixed. 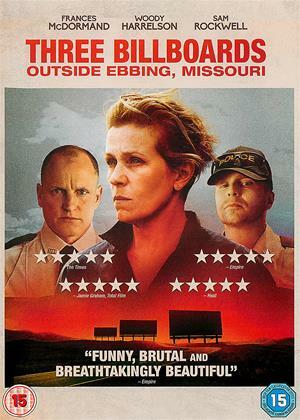 I was impressed by this film - the acting is good and there are some clever directing moments in particular in the stand off between the security guards and the police officers. The landscape is suitably bleak but beautiful. 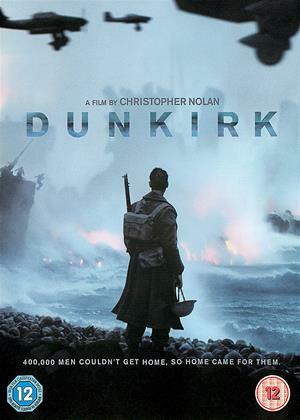 This is not half bad, looks like it didn't cost a fortune to make (which isn't a bad thing) and the acting and story are very good building to a strong climax, I would definitely watch it again & i can't give much greater praise than that. I thought the suffering of the North American Indians was very well played, historically and from the film's present day context. I found the dialogue difficult to follow so I got lost at times. But the setting was bleakly beautiful, making the events of the film all the more sad and futile. Renner does adequate job. Skimpy solo lady from FBI a bit doubtful as they normally work in pairs, like Jehovas and Mormons etc. An investigation into the murder of a Native American woman in the snowy wilds of Wyoming’s Wind River Range turns out to be less an adventurous than it sounds. Filmed in Utah, with little mountain scenery, writer/director Taylor Sheridan admits on the DVD extras that his main interest was in the campaign for Native American rights. It’s well observed and watchable, but basically it’s a mood piece with a dismal score that further turns it into a feel-bad evening at the cinema. Jeremy Renner is fine as the wildlife tracker with detection skills, but Elizabeth Olsen’s out-of-her-element FBI agent has an increasingly irritating manner and voice. Seeing Renner in the mountains only makes one hanker for the similar but more exciting early scenes of The Bourne Legacy, but it’s not that kind of film. Here he merely snowmobiles around the forest. The film does eventually feature some action to liven things up a tad, perhaps as a sop to the audience, but even this is diminished by the dismal score. And there’s a flashback of the murder that should have been placed earlier to ramp up the meagre tension in the plot. The writer/director has previous with this. There were similar story problems with his screenplays for Hell or High Water and Sicario (see my reviews). Re-edited, with a better score, this could have been a much more successful film. Good plot with some twists and shocks and all backed up with credible consequences or backstories. Expected it to focus on the Native American issues a bit more than it did so I guess Marketing oversold that angle. I enjoyed this film. I liked the plot, it had some nice twists, and turns, kept me interested. A good story, acting was good, good characters. Great film interesting as sadly based on a true story.. But hey the sound track is awful what a shame.. Good actors on the whole enjoyed the film uncomfortable towards the end ..
Jeremy Renner does his best here up against poor actors in supporting roles acting out unrealistic things amongst a load of muffled dialogue. Mary Elizabeth Olsen is a total mis-cast, as are most of the Native actors whom normally do well in Western thrillers. On paper I'd say a Novelisation would have read well but with sloppy Direction, you can give it a miss knowing you're only missing a 'B' feel movie. I am watching a wide range of films.but thus one must be one of the most boring ones I ever Watched. Does not deserve even one star. 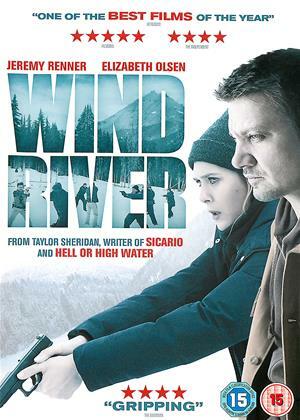 A film such as Wind River, unfortunately, boasts a poster the claims it’s from the writer of Sicario and Hell or High Water. It’s a midwest Western that never quite reaches the same levels as the meaningful and contemplative nature of those previous films, favoring a simpler story of a murder mystery. But that’s okay, even if the film’s central theme about missing Native American women on reservations doesn’t quite so hard by the end. In its own dark and odd ways, it's a pleasing picture that still has the familiar grit from writer turned director Taylor Sheridan. I dug the setting of the Wind River Indian Reservation in Wyoming. It’s cold, often dark, and so spacious that anyone could get lost in those dangerous woods. One morning the reservation discovers a dead woman, frozen in the snow, her body bloody. To investigate how this happened, wildlife expert Cory Lambert (Jeremy Renner) is called onto the reservation. With his observant son in tow, he drives through the thick snow to meet with Tribal Police Chief Ben Shoyo, played by the always charismatic Graham Greene. He’s not the only law enforcement on the case as FBI agent Jane Banner (Elizabeth Olsen) also enters the scene, despite not being dressed for the occasion of a coming blizzard. Tracking down how this incident happened is not easy. The large stretch of Wyoming land where the tracks of the victim place her leads the enforcement into some dangerous territory, where both Native Americans and corporate workers are at each other’s throats. With such a long distance between civilization, tensions run high when gunfights erupt. If you’re shot pretty bad, there’s no hospital close enough to tend to your wounds. Jane asks Ben if they should wait for backup when approaching dangerous suspects. He tells her this isn’t that kind of community. While Wind River doesn’t make a forceful push in its procedural drama, it leaves plenty of room to appreciate the atmosphere and performances. Renner never goes too far in his role, keeping it subtle and intriguing with how the mystery takes on a personal aspect without being too blunt. He’s very natural when it comes to smaller scenes of him connecting with his son and feeding horses. Olsen does a great job playing a woman out of her element, struggling to keep up with the locals that proceed much differently through a climate of thick white and uncooperative individuals that would sooner spill blood than information. Greene is amazing to watch for how he effortlessly delivers some of the funniest lines in the movie for an old-timer too seasoned in these murders to not take them with a distracting joke if only to draw away from how this isn’t the first dead Native American woman on the reservation. Also worth noting is a fantastic, if brief, supporting role by Gil Birmingham playing a bitter father that isn’t quite ready to handle the death of his daughter. Wind River is such a slow and beautiful film at times that it’s almost a shame it's too docile in its moody investigation to be better. 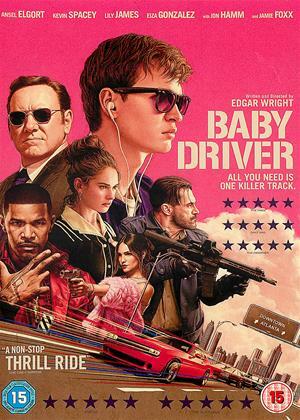 It perhaps becomes too easy going when the soundtrack boasts music from Nick Cave, his deep lyrics washing over scenes of intensity that don’t require his vocals. There’s so much to like about the picture with its Midwest cinematography, brutal shootouts, and a gritty unease of isolation that it doesn’t need such additions. What it could use is a better focus on the end-credit commentary about how murdered and missing Native American women on reservations is a real issue. But even for a film that would rather let it snow with mystery and action, it gets the job done and does it rather well at times.